How to choose plush toy for claw crane machine? Plush toys are the girl’s favorite, but also the best partner. Plush toys are so cute, well-made, harmony color. The main point is that plush toys give a safe and warm feeling to us. 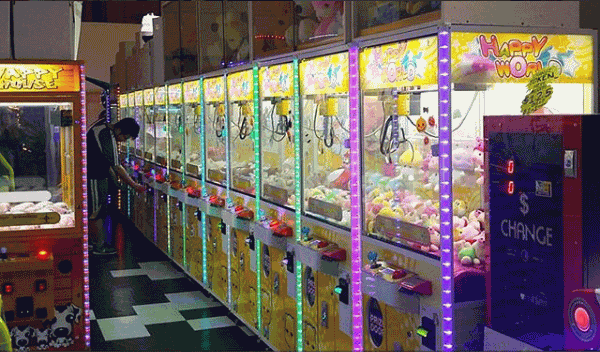 Thus, many people prefer to play claw crane game machine to get a plush toy. First of all, the doll has a favorite shape, high-quality fabrics, fine hand sewing, fine variety of materials, etc . ; I hope that share this shopping guide, especially when buying plush toys online, you can learn more about plush toys. The first step is to see the picture: we look at the physical picture to learn more. Because some people will use the promotional photos as their own products to sell. It will confuse vision. When getting the real toy, you will obviously feel is not the same. The second is to observe the material: in nowadays plush toys are used in the ever-changing fur fabric, filling material of it is also different. We must see a clear picture to know a small thing. If the fur is poor that have an impact shiny appearance. And asking what materials are stuffed in stuffed toys. Easier said than done when one considers that most of the fabrics used in soft toys are purchased from the open market. Unless you have the utmost confidence that your supplier buys in pre-tested or certified fabrics (such as the Oeko Tex standard) pre-production testing might be the only way to ensure that your fabrics do not contain harmful chemicals. The list of requirements is quite onerous – fabrics must not contain azo dyes or formaldehyde and the supplier must not use flame retardants. If plastic materials or parts are included these must be free from cadmium, phthalates, and organotins. Fabrics also need to meet the chemical requirements of EN71 part 3 (2013), EN71 part 9 and REACH in Europe and the ASTM F963 in the US. Ask your supplier what accreditations they have – a good supplier will have a quality management accreditation such as ISO 9001 and an ethical audit such as ICTI or SMETA. Your supplier’s commitment to maintaining and improving standards in their workplace is a good indication that they will produce quality products. Third is size specifications: you see plush toys are so big in the picture but when found it is very small. So ask about the toys product size, and then compare the same high-quality goods, only in this way can you have felt full cost-effective products.